No information was ever released on that agreement. House Administration Committee Chairman Gregg Harper (R-Miss.) told GOP lawmakers in a closed-door Friday morning meeting that only one House office in the past five years had used an Office of Compliance account to settle a sexual harassment complaint. Harper said in that one instance, the settlement totaled $84,000. In a statement for this story, Farenthold would neither confirm or deny that his office was responsible for that $84,000 payout. Greene’s lawyer, Les Alderman of Alderman, Devorsetz & Hora PLLC, also would not say whether Greene was the woman who received the $84,000 Harper referred to. But in a joint statement both Greene and Farenthold prepared at the time of the settlement but never released — a copy of which was shared with POLITICO by Alderman on Friday — the two confirmed they reached a deal in part to save taxpayer dollars. Anything to save taxpayer dollars (i.e. 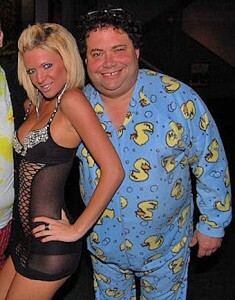 the money Republicans like Blake Farenthold take from the poor to give to the rich). This entry was posted in GOP, Law, Sexuality, Women by brobrubel. Bookmark the permalink.